We're keeping your fingers where they belong! 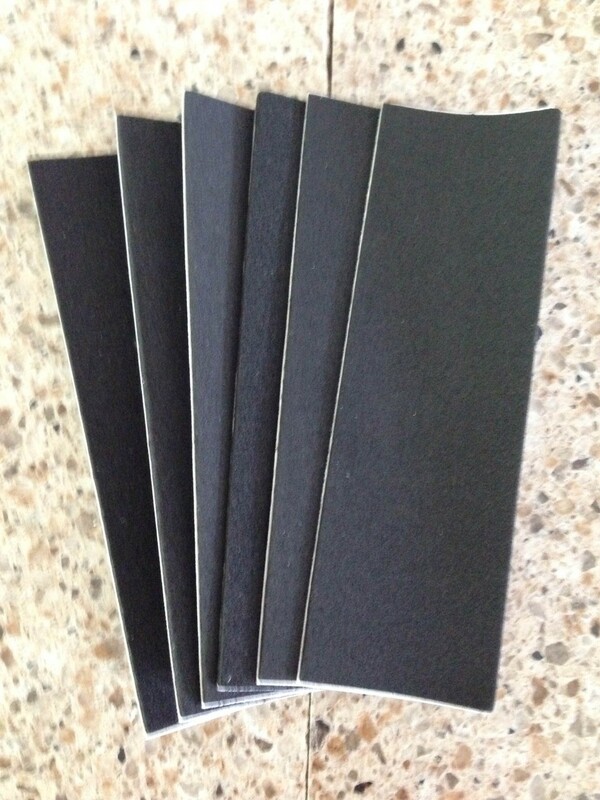 If your purchasing only grip tape, contact me for discounted shipping cost. Try this great foam grip tape for your deck. Cuts easily for a perfect fit. 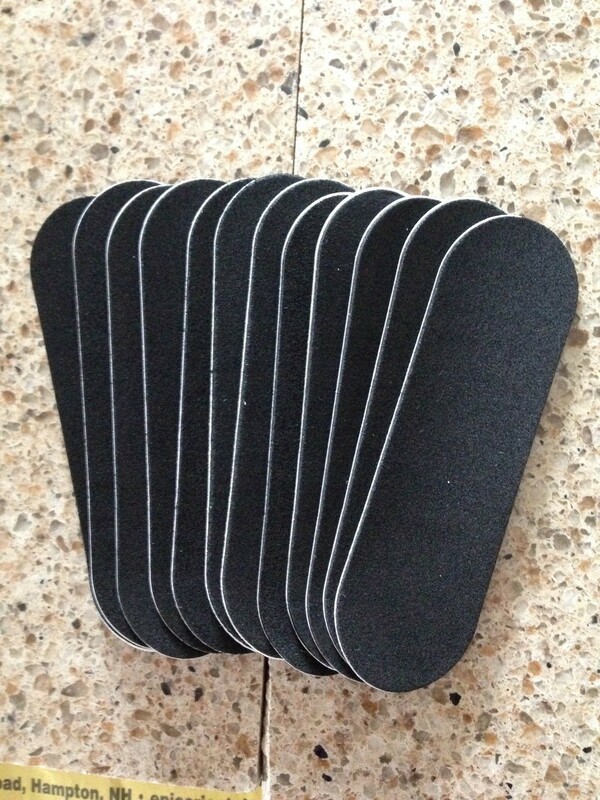 Large enough for even the biggest boards at 108 mm long x 35 mm wide x 1 mm thick. 3 sheets per pack. 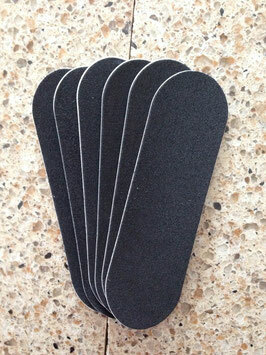 Try this great foam grip tape for your deck. Pre-cut for a perfect fit at 102mm x 30 mm x 1 mm thick. 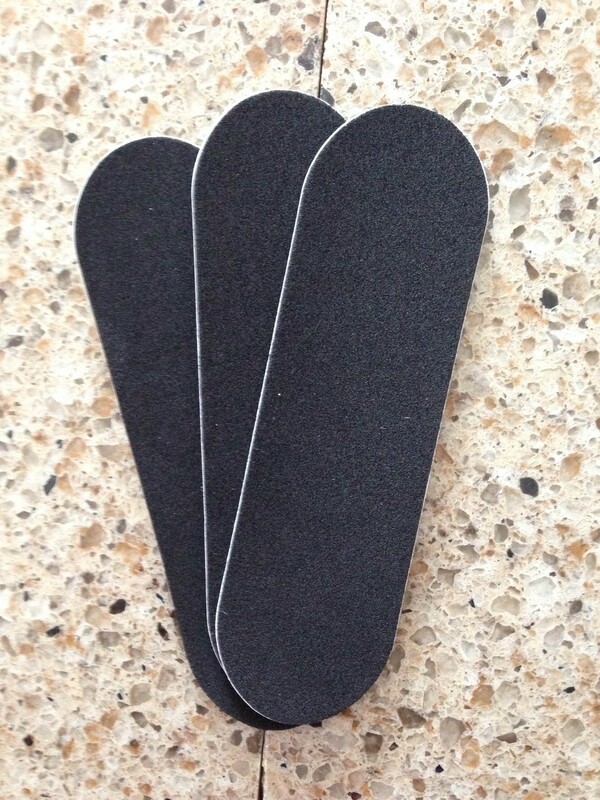 3 pre-cut sheets per pack. 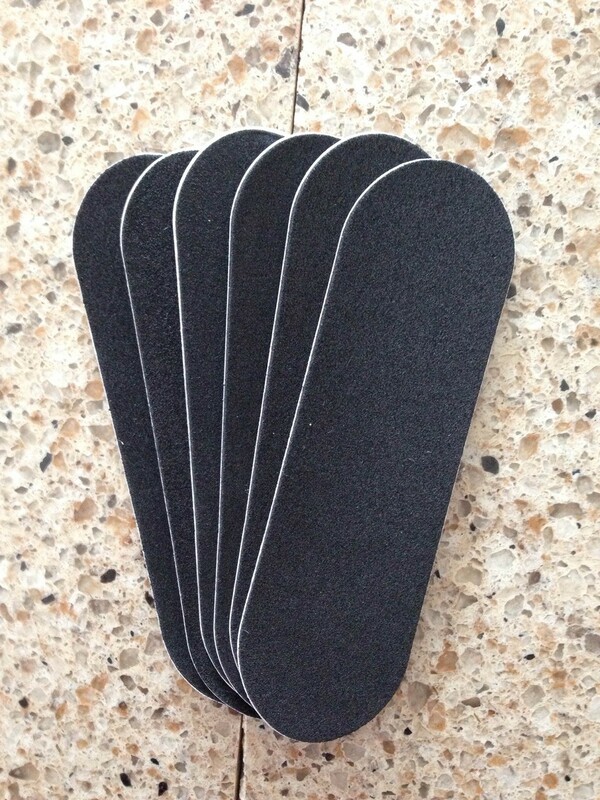 Try this great foam grip tape for your deck. Cuts easily for a perfect fit. Large enough for even the biggest boards at 108 mm long x 35 mm wide x 1 mm thick. 6 sheets per pack. 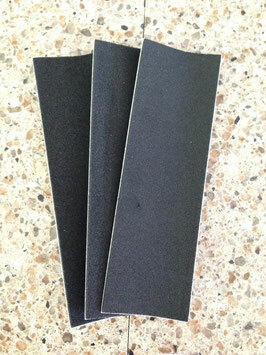 Try this great foam grip tape for your deck. Pre-cut for a perfect fit at 102mm x 30 mm x 1 mm thick. 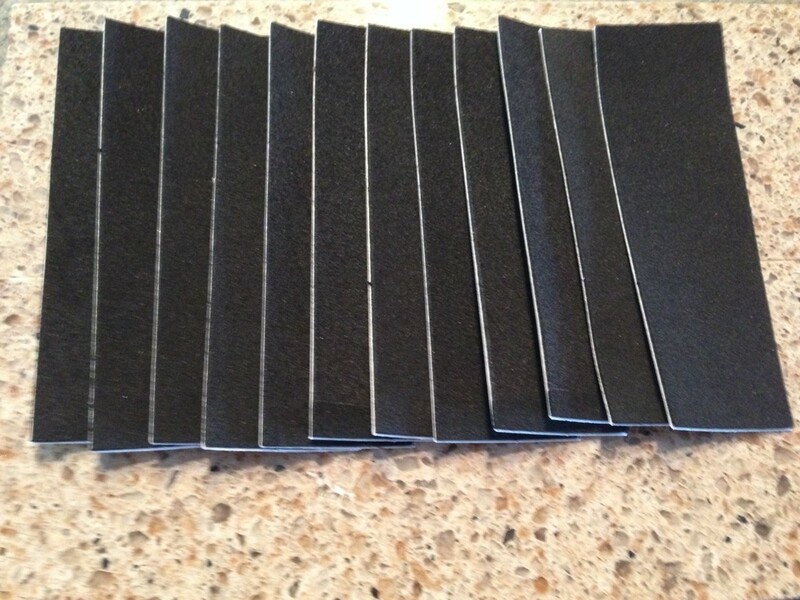 6 pre-cut sheets per pack. 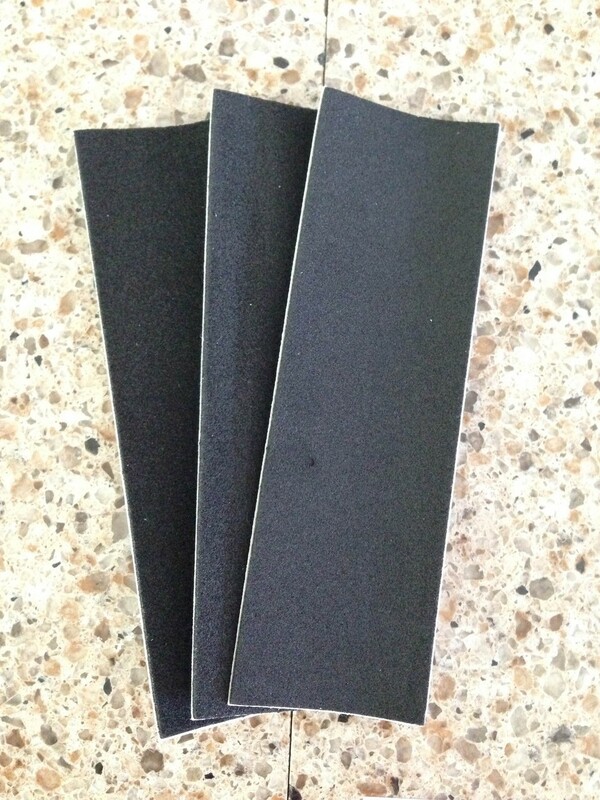 Try this great foam grip tape for your deck. Cuts easily for a perfect fit. 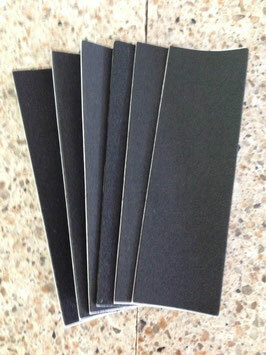 Large enough for even the biggest boards at 108 mm long x 35 mm wide x 1 mm thick. 12 sheets per pack. 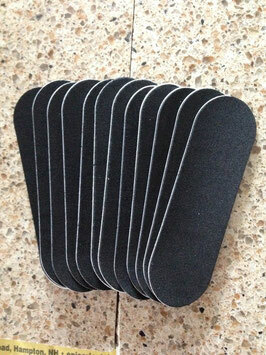 Try this great foam grip tape for your deck. Pre-cut for a perfect fit at 102mm x 30 mm x 1 mm thick. 12 pre-cut sheets per pack.